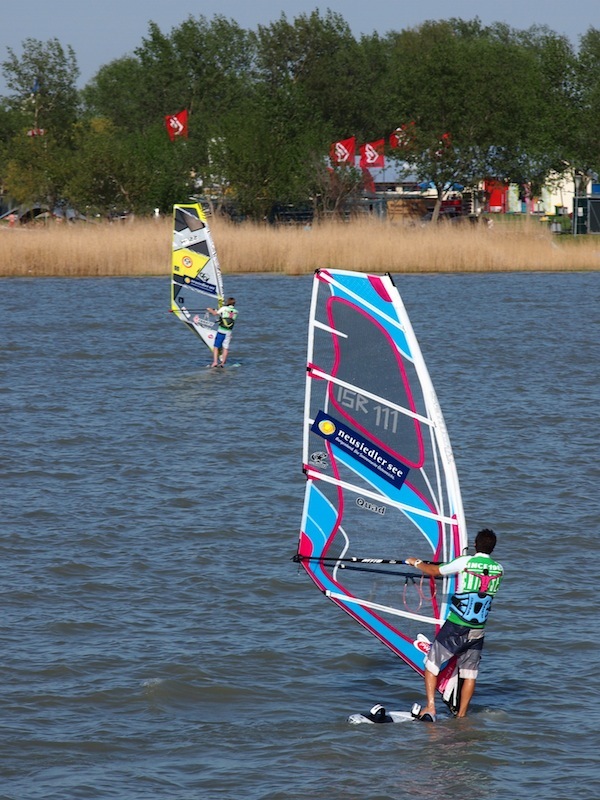 Surfworldcup in Podersdorf, lake Neusiedl: A Place, A Feeling! 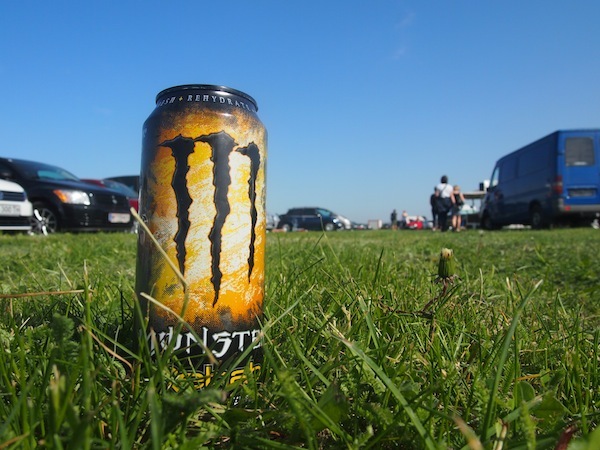 This Energy drink pushes us without any extra chemicals added (it’s supposed to be all natural! ): Festival atmosphere right by lake Neusiedl in Podersdorf! All of us are on board: „The usual suspects“ 😉 From left to right, we are counting on the eloquent support of Gudrun as „Reisebloggerin“, my inputs as „Creativelena“, Ursula’s organisational talents as a true local Burgenland woman and Gesa’s happiness when discovering Burgenland for the first time – according to the motto of her blog „Lilies Diary – Der ganz normale Wahnsinn“ (Heast Oida)! On the evening of the first day, we enjoy a boat ride including a BBQ prepared for us by the skipper while watching the first windsurfers float by. Magnificent. Ok. Nobody has been hurt. Maybe faces got redder, voices went up and someone’s heart skipped a beat. Let’s not talk about recommended (or achieved) alcohol levels either: After all, you might be shocked to hear that in Burgenland, every single street shop or corner offers great wine, local Gols beer, Schnaps or even so-called “Saftladen” full of delightful, home-pressed juices … !? (I knew it: You wanted to be shocked ? 😉 Then keep on reading!) But let’s start from the beginning. 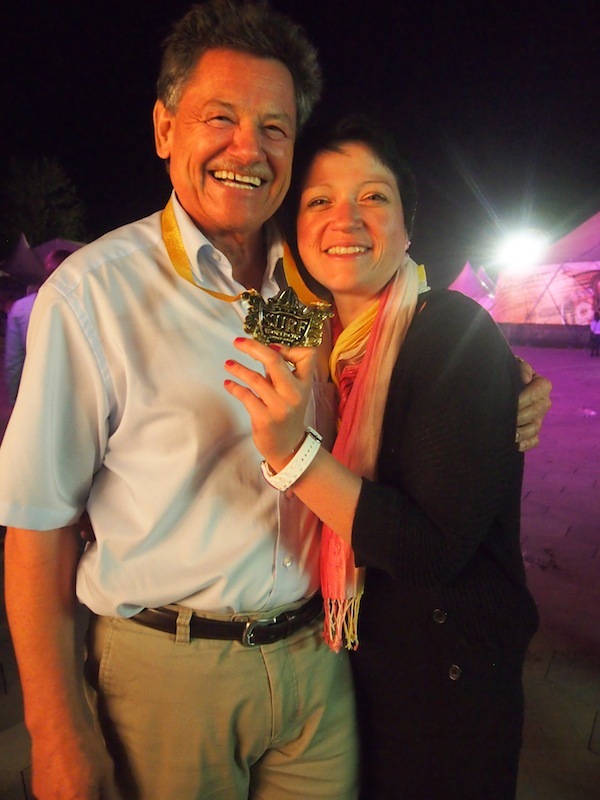 Dear Walter Gisch: As head of Podersdorf Tourism, he has made this Surfworldcup event happen for so many years. 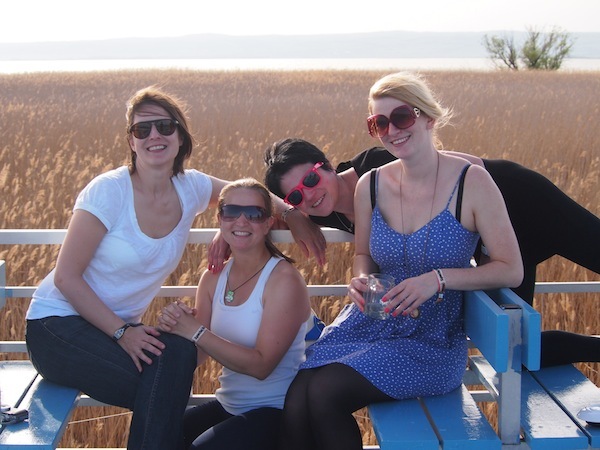 To us, it is always a delight to be welcomed with such charm here in Podersdorf at lake Neusiedl! In this photo, him and Ursula are boasting off an official “Surfworldcup” gold medal won by the organizational team for their hard efforts! Well done guys! 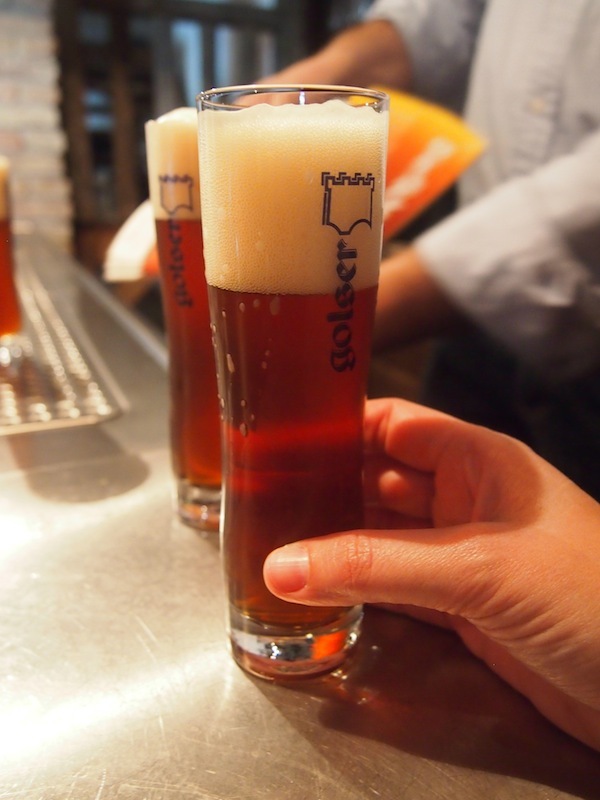 In Gols, we get to brew our own beer … well. Creativity hasn’t led us this far here. 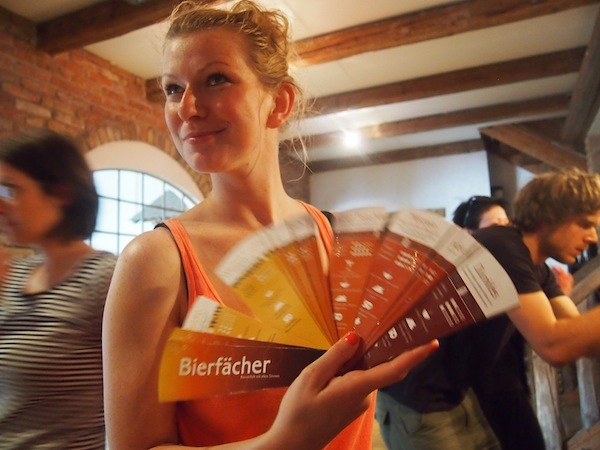 Meanwhile, we have decided to simply “look good” boasting Gesa’s new Bierfächer fan! … sounds unbelievable to your ears? 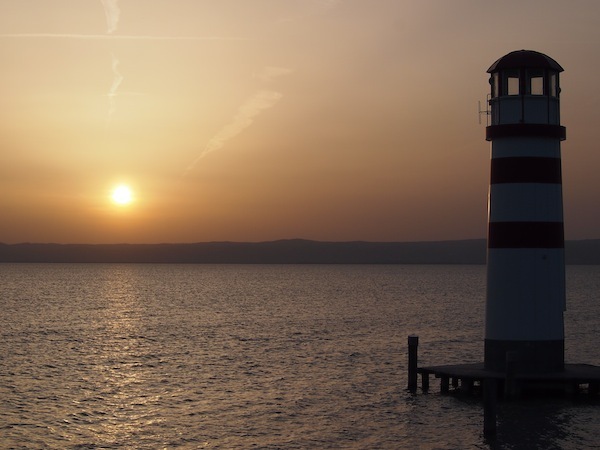 After all, this article is meant to talk about the “Surfworldcup in Podersdorf” … or is it? Well, there is always a lot more to it all than meets eye – or so the saying goes. As for our weekend in Burgenland, it was filled with just wonderful activities that each complimented what we saw, lived and experienced at the Surfworldcup. For instance, we joined a Yoga session by the lake with charming Daniela, both invigorating and relaxing at the same time. Using what forces we had, we then drove on to Gols only 8 km away in order to be told many a secrets about local Gols beer made by “Harry the brewery master“: World-famous in Burgenländ! Beer from Gols is unique and oh so good. Hard to describe, we get to taste at least five different varieties all sourced from hand-picked sources and crafted with love. Beautiful! And then, only a little later, Ursula’s spontaneous ways drive us right into … A HELICOPTER! Hired for the purpose of flying interested visitors over & above the festival grounds, Podersdorf & lake Neusiedl at a price of € 50,- per quarter of an hour. How exciting !! When we finally stumble out of the helicopter, after what felt like eternal magic up in the air, we stepped back .. way back … back into time onto a beautiful horse carriage, “slow-travelling” to see the famed Burgenland Mangalitza pigs with their notoriously good bacon. I LOVE watching them – yet also enjoy eating their meat. It’s just so good. Oh, it’s complicated. Or is it? At a place called “Tschisti’s Saftladen” (go pronounce 😉 ), we are being served local juice and wine while marvelling at their mountain sheep, an import from Tyrol into pan-flat Burgenland. Funny! 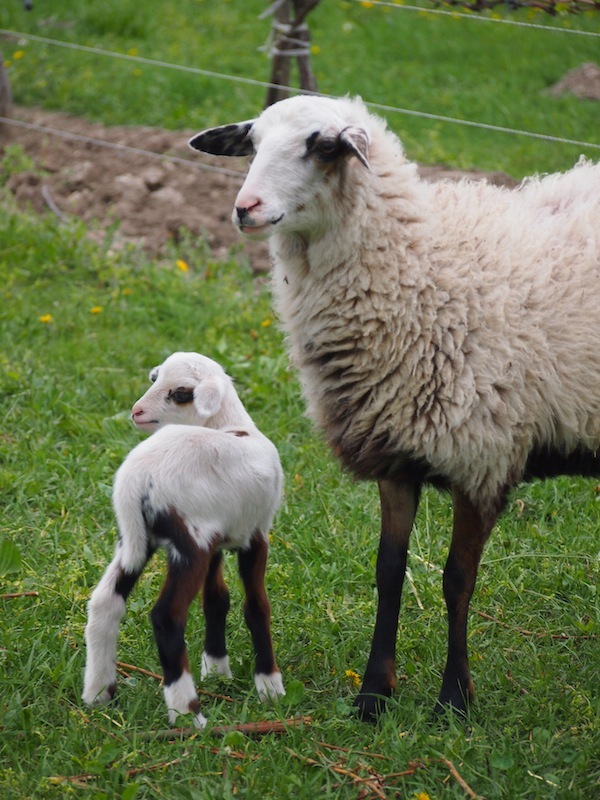 How these sheep arrived here, is another story altogether … people and the land never tire of it: Local storytelling par excellence, made in Burgenland! Storyteller Harry at the beer brewing manufacture in Gols: His mission and vision for local beer is just fascinating. We really enjoy visiting – and so should you when you come to visit. 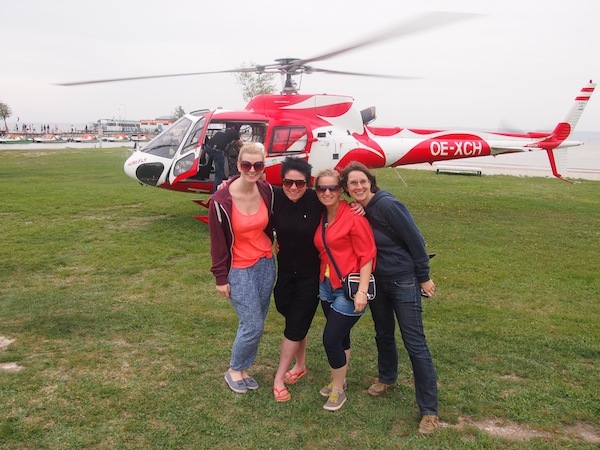 Ready to rock’n’roll: The girls after a spontaneous helicopter round trip … How cool !! Aren’t they cute? 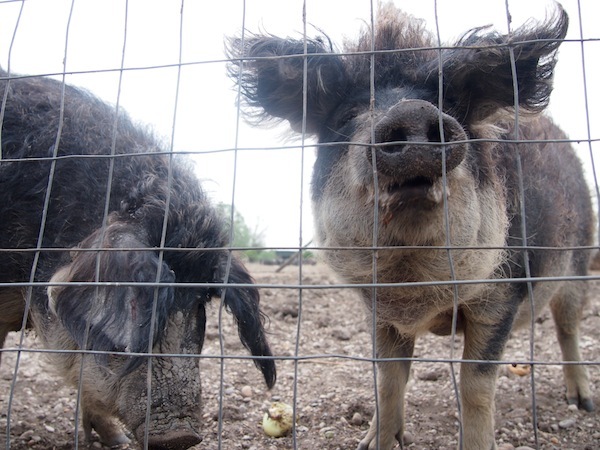 Woolly Mangalitza pigs at lake Neusiedl! 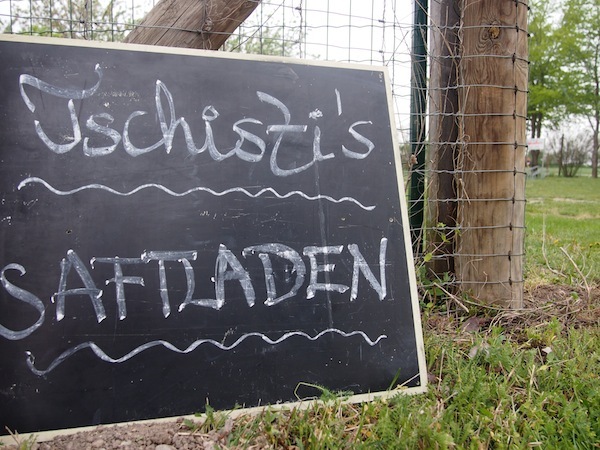 Tschisti’s Saftladen: Here, you can stop for some natural, home-made drinks and food served to you by the family right in the middle of their fields. Lovely! Cute: This youngster is only a few days old! It must be just as exciting for him as for us to watch. Oh and we also went slack-lining … while at the Surfworldcup! Hard to say what we didn’t do in just over one weekend. 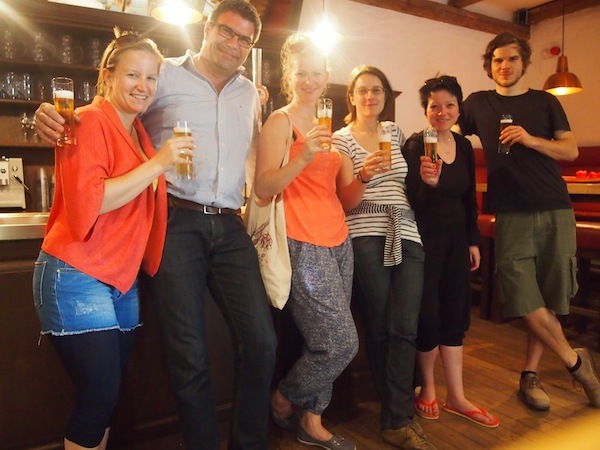 And yet, we never felt pressurized nor bored during this year’s festival check in Burgenland. The Surfworldcup offers just so many ideas and activities for coming back year after year, it is great. I hope you look forward to it as much as I do. See you in 2014, I’d say? Will be nice to meet you there! 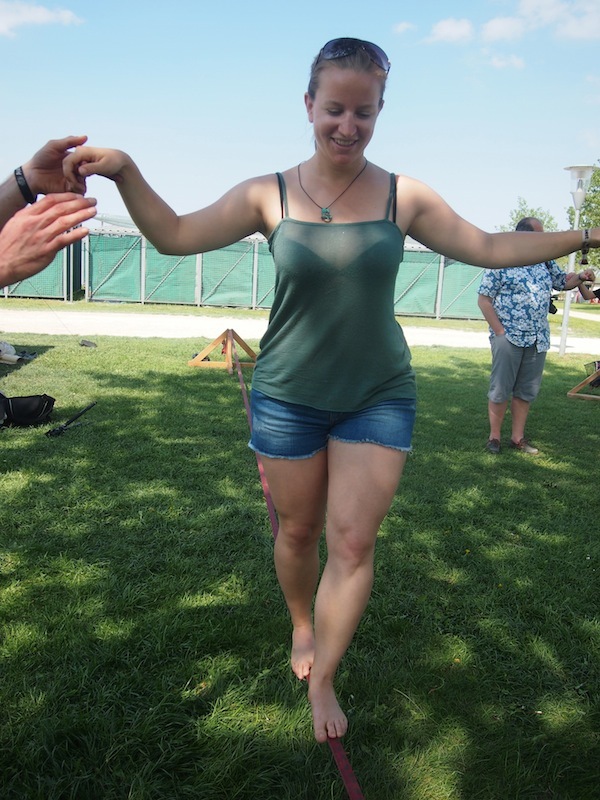 Elena, the “Slack Lining Queen” … Well. Maybe not. 😉 However, I did fare fairly well on my slackline, and it’s fun above all to be able to maintain your balance and work on your “inner (mental) strength” in order not to fall! Chilled-out: Stand-Up-Paddler at the Surfworldcup in Podersdorf. 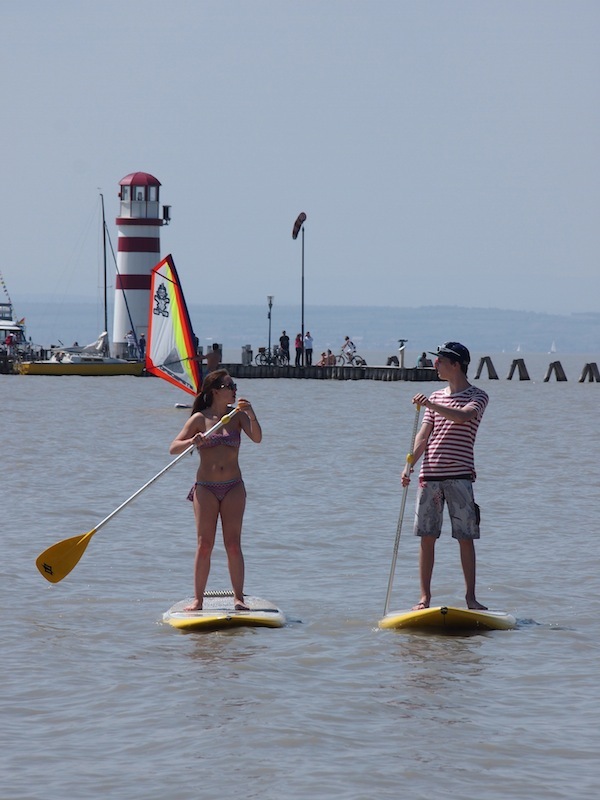 Disclaimer: We have been invited by Burgenland Tourismus to this year’s Surfworldcup in Podersdorf. All opinions are my own. 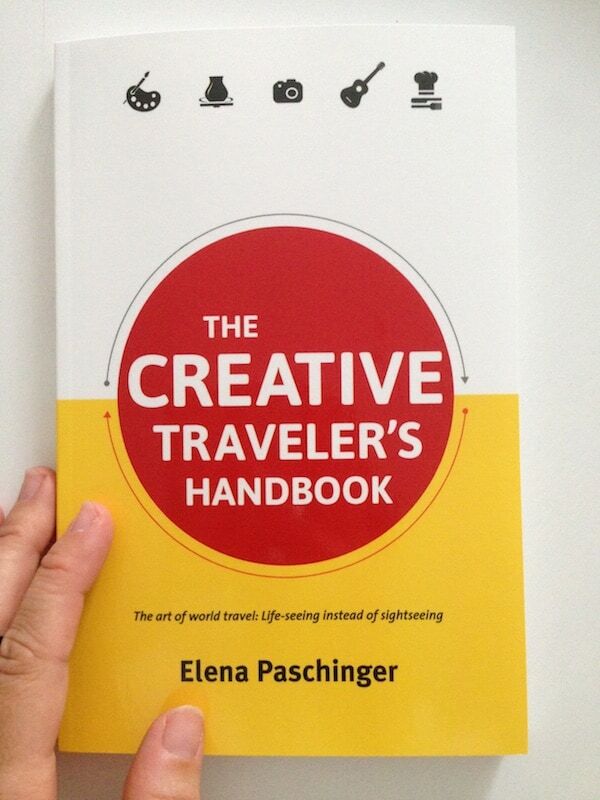 Travel Blogger Campaign "Burgenland Neu Entdecken"
The "Mostviertel" in Lower Austria: A "MUST"-Have-Experience!